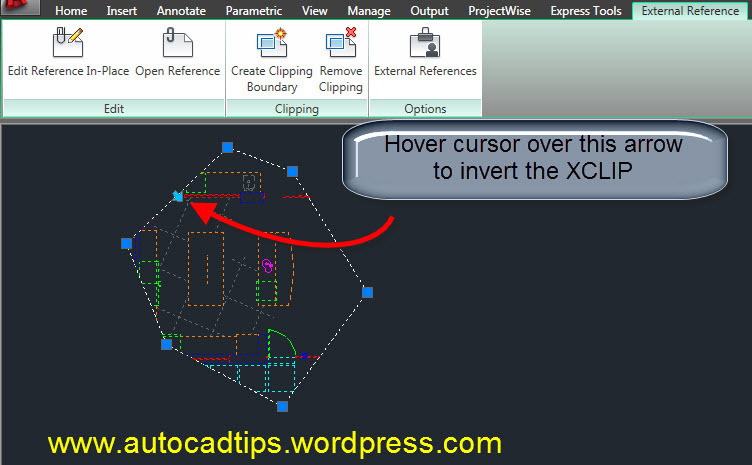 Once you have an XCLIP created, you can can invert the XCLIP so that the area that is inside of the defined XCLIP border will be hidden and the area outside will be shown. Hover over the arrow grip and notice the text that appears “Invert x-clip boundary” Click this arrow to invert the xclip. This entry was posted in Manage, Modifying, XREFs. Bookmark the permalink. boss is there any way we can invert clip multiple times in 1 block-xref or image?